For over 20 years Barska® rifle scopes & sights have been the go to choice for hunters and precision target shooters. 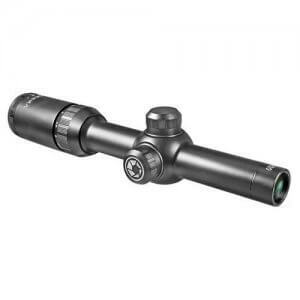 From long distance to quick targeting tactical riflescopes Barska® has a precision optic for your rifle or handgun. Here at BARSKA, one of our specialties is riflescopes, which are offered in numerous varieties for different types of weapons. 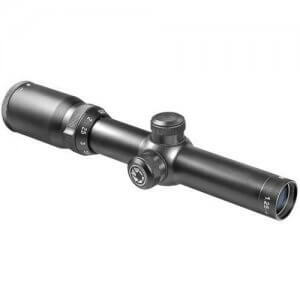 A rifle scope is designed to provide clear images and allow for more precise shooting in a number of venues whether it is in the field, target practice, or outdoors. Our rifle scopes are high quality, and they are ergonomically designed for comfort during long hunting sessions. They utilize the latest technology in optics to provide the most clear and up close images of the target. The optics of the rifle scope o-ring sealed for 100% waterproof protection and dry nitrogen purged to prevent the lenses from fogging up during adverse weather conditions in the great outdoors. We design many different models of rifle scopes with different built-in adjustment features such as external windage & elevation, locking turrets, parallax adjustment, bullet drop compensation charts, digital reticle selectors and rheostat illuminated reticle adjustments. Barska rifle scopes are available in fixed power for standard shooting and zoom magnification for variable close to long distance targeting. Targets and shooting situations vary, but Barska rifle scopes have adapted for the shooter. More accuracy is provided to ensure the safety of others in the area. Laser sights are also available built-in to certain models or externally mounted to a tactical scope or rifle to help the user get additional confirmation of the exact location of the target. The laser sights come in both green and red for long- and short-range targeting respectively. We manufacture our laser sights with the highest power laser diodes allowed for civilian use by the United States FDA. Riflescopes with lasers must be properly calibrated and adjusted to a particular rifle and to the user's specifications to obtain the optimum experience. Check your local hunting laws regarding the use of laser sights for hunting as main local laws only allow traditional hunting riflescopes. BARSKA's extensive selection of riflescopes is even more diverse for 2016 than ever before and there's a model suitable for every type of shooting. The newest additions to our riflescope series: The new AR -SWAT 1-6x32 was developed by the demand of shooters of mid to large caliber rifles. Shooters have enjoyed using Barska riflescopes for years and have now have for a high quality riflescope for large caliber rifles that chamber the popular .308, .30-06 and .50 large caliber bullets. The new 3-9x44 Digital Multi-Reticle Scope featuring 6 different digital reticle patterns. Adapt your shooting conditions with a push of a button its like having 6 scopes in one. BARSKA riflescopes all have one thing in common--- quality design and features that make them all an incomparable value. From the serious tactical and long-range shooter to the varmint hunter or big-game hunter and recreational target shooter, there's a BARSKA riflescope that's a perfect fit for you and your firearms. While there's no rush like the thrill of heading out early in the morning for a long day of promising hunting, there is one thing which holds many hunters' enjoyment back as the length of their day begins to wear on them. That one thing is the ergonomics of the riflescope that they use when sighting their game and moving in for the kill. Most companies design scopes which are moderately comfortable for short periods of use, but are simply unwieldy and awkward after a few hours outdoors. Barska firmly believes in the longevity of a productive day of hunting, and it has hired experts to refine the design of its riflescope products in order to ensure that they're the most comfortable, as well as the most accurate, such scopes on the market. That means hunters will gladly spend a few extra hours in the field and, while they enjoy the added comfort of a Barska riflescope, they'll also enjoy the added accuracy and more fulfilling experience they enjoy as a benefit of enhanced optics.